Only Filipinos are permitted to buy real estate in the country. This is with exception to condominiums, in which foreign ownership is permitted only if 60% of the occupants are Filipinos and 40% are foreigners. In recent times there has been a spurt in advertising real estate in the Philippines on the internet but you would do well to remember that not every location in the country is worth your money. Don't go by promises of "flood free" locations either advertised by developers or promoted by estate agents. Do your own research on prospective properties by looking up the internet, the classifieds column in local newspapers and magazines, and visiting estate agents. More importantly, be there and stay involved throughout the purchase process. Buying property without actually checking its physical and legal condition is a big mistake. Do not enter in to a transaction without checking the authenticity of documents like the TCT. Consult a lawyer and get him to determine whether there are any pending cases against the real properties that you are buying. Relying on an estate agent or a friend or family member without seeing the property is another pitfall that must be avoided. As they say "seeing is believing" so don't make any promises until you have seen the property and have had all questions answered to your satisfaction. Seek legal counsel and do not make any payments or sign any documents without consulting your lawyer first. Buyers who have to leave the Philippines for some reason should do so only after appointing authorized representatives (through Special Power of Attorney), thereby eliminating delay in the processing of their housing loan applications. Ensure that documents of the sale are in order and signatures are authenticated by the consulate or the POP information officer concerned. 1. Poor quality work wherein construction and planning is poor or the site is not the one that was advertised/promised or marketed. 2. Structural defects which can be avoided by prior inspection of property by the buyer. 3. Facilities such as gymnasiums, swimming pools and so on are below expectations or not what was promised. 4. Unfinished roads and intermittent supply of water and electricity. 6. Illegal occupation of unit purchased. 7. Absence of home owner's association. If you don't have the money to pay for your home, you could opt for a home loan from banks and financial institutions. 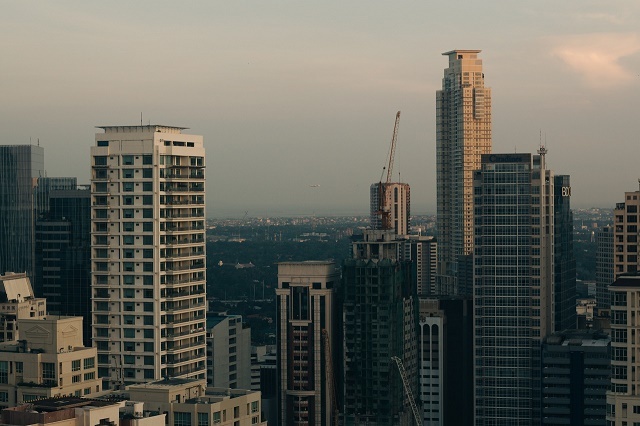 The country's largest property financing agency, Pag-Ibig, and the Housing and Land Use Regulatory Board are major lenders to people desirous of buying real estate in the Philippines. Please note that if you are availing of a loan facility your mortgage debt should be less than 28% of your monthly income.